Some testimonials from past and present customers from all over the world. Horses produced or sourced by us, for Eventing, Show Jumping, Dressage. We are always extremely happy to hearing or receiving your feedback about your eventing news or your jumping and training improvements. I have been having lessons on a few of my horses with Andrea over the last few months. All of my horses are very different and Andrea just seems to have a way of getting the absolute best out of myself, and each horse I’m piloting. I come out of every lesson with a huge smile on my face as do my horses. He gets the absolute best out of us without pushing beyond our comfort zones, yet i end up achieving far more in each lesson than I ever thought I would! Having had numerous lessons with Andrea I would definitely not seek other tuition. I cannot rate him highly enough! I have always hated horse buying, finding it full of potential pitfalls. Verdina Sports Horses made the process a pleasure! Andrea took time to understand what we were looking for, was happy to work within my budget and when we went to try a horse, was very helpful in giving me his thoughts on the potential partnership. I was looking for a first horse for my 14 year old daughter so it was great to find that he had arranged for the horse to be presented by his 13yo daughter rather than a professional adult rider. We are delighted with our new mare and Andrea is always on hand for any queries we have. Saw a horse advertised by Verdina Sport Horses, the horse sounded perfect so I messaged Andrea. He was quick to reply and very flexible, changing his plans, so we could arrange a viewing. At his yard he was easy to talk to and answered all our many questions. We tried the horse and he was perfect, just what he said in the advert. Andrea was brilliant at sending us lots of videos. Once G was at home there where no surprises because he was just what we expected and what we were looking for. After a week Andrea contacted us to make sure we where happy and g had settled in ok.
Great to deal with someone who is helpful and honest. Andrea assembled a number of different types of horse for me to try and I quicky found the quality of horse I was looking for. I found Andrea to be considered, efficient and personable and I couldn't be happier with my new horse. I have recently purchased my perfect horse through Andrea. The whole process was absolutely stress free. He gave me lots of time to get to know her. Jumping at his yard and at Rectory Farm. I have weekly lessons with Andrea and he knew exactly the type of horse that was a perfect match for me. I would never have found this lovely mare searching the internet myself. His knowledge and network in the sports horse field is invaluable. The smile has not left my face from the moment I brought her home! Thank you Andrea! Andrea is my secret weapon! He is as important to our team as my vet and farrier. We have top Working Hunter and Show Hunters. Andrea has assisted in finding suitable horses, helped with their training on the flat and over fences. 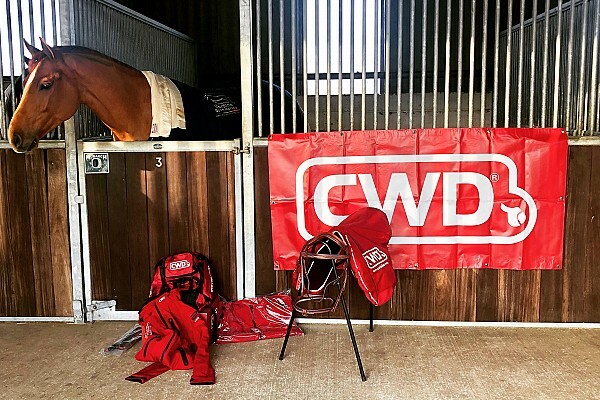 He has worked with my son Jamie to achieve winning many County Championships including The Amateur Lightweight Hunter Championship at The Royal International and being placed 6th on a young horse in The Working Hunter at HOYS. He is happy to teach or where necessary ride and sort out any problems and advise on the solutions. He is not only a great trainer but now a dear friend. Andrea has a great eye for a horse, and is ideally located to be 'in the know' as to where to find one. Furthermore he is relaxed, easy and straightforward to deal with, which makes the whole buying/selling process infinitely easier. Sofia Sjoborg and Contessa - Winner of the CCI* J U18 2014 Championship at Weston Park. 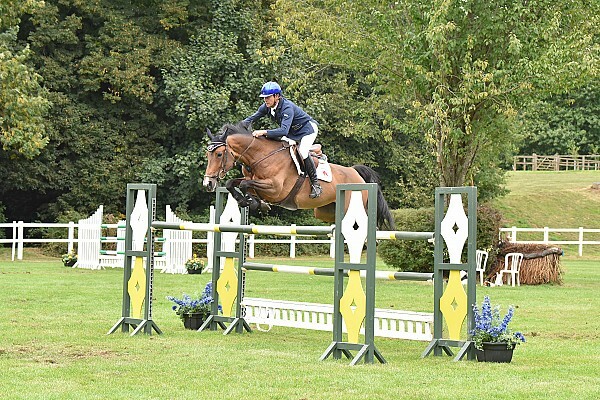 Another well matched horse by Verdina Sport Horses - Very well done, Sofia! I bought my first event horse fromVerdina Sport Horses twelve years ago. Nano was perfect for me in every way and I still have him today, retired at home. The constant support I received from Andreas was invaluable to me. We had lessons, help at events, cross country schooling and constant advice on where to go and what to do together. Andreas subsequently started competing my young horse for me and they had great success together which gave me the confidence to compete him myself. Since I bought Nano, I haven't purchased a horse without talking to Andreas about it first. A few years ago Andreas gave me a lot of advice in buying my current top horse Brook who again has been perfect for me. I have since bought Barlovento through Andreas who has also been a huge success and has been everything Andreas said he would be. An owner in my yard bought a 2* horse through him last year and she is thrilled with Dante who is the perfect schoolmaster. Thanks to Verdina Sport Horses, I have a great string of horses who are perfect for me in every way. For me, it's not just the fact that he finds me the perfect horses but it's all the advice and support that I continue to get afterwards which I find so invaluable. Nothing is too much trouble and it's great for me to know that his advice is only a phone call away. My website is full of photos of happy days at events that would never have been possible if I hadn't met Andreas all those years ago. I couldn't recommend Andreas more highly as a rider, trainer or agent. 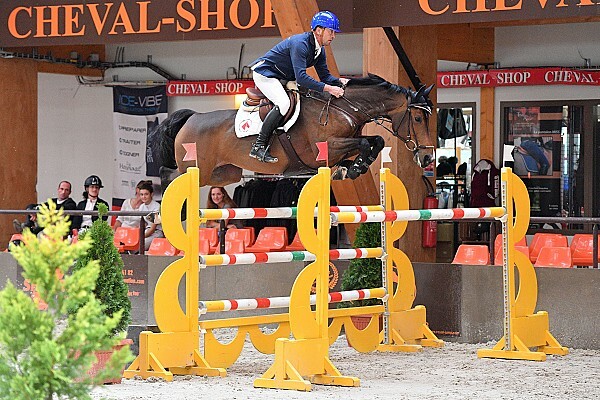 I can honestly say that the best of my fun, I owe it to Verdina Sport Horses. After purchasing my mare through Andrea I have had multiple training sessions with him, both for Cross Country and Show Jumping. Andreas experience and knowledge is evident through his way of teaching, you are presented with concise, easy to follow instructions that result in you changing and adapting your way of riding even slightly leading to a lovely improvement of your horses way of going. I would thoroughly recommend Andrea, my confidence has massively grown and you always find yourself pushing your riding as far as you can with out over facing yourself or the horse. The two hour plus journey is worth every minute as the advice is simply invaluable and always leave the yard with a smile on my face! Can't wait to book in the next lesson! Had another good jump session with Andrea today - three entirely different types of horses: one just backed, a Novice and my Advanced prospect for 2014. Each horse was appropriately trained with patience. I am not a fan of drastic changes, Andrea has a good eye for analysis of each animals brain to build specific exercises to improve technique whilst keeping them confident. I wont take instruction unless i respect the jump style of those teaching, Andrea is very quiet, stylish & effective jump rider- who is in the minority with his ability to also train. I recently sent my unruly 4 years old to Andrea to be re-schooled ready for competition. The results were excellent, he had my mare for 5 weeks. Before she went, she was nappy and struggled to canter on the right rein, I had not yet managed to get her over a cross pole. At the end of the 5 weeks, she was cantering on both reins relaxed, the arguing had dissapeared, and she was popping a small course of fences (1.05m) calm and relaxed. I am thrilled with the mare i now have back at home, she went to her first show last week and behaved brillaintly. I will definatelty send another horse to Andrea, either to break or school. You only have to see Andrea ride in any of the disciplines to know that he has something special you want to learn. In my experience he has the knack of transferring his skills in a positive and easy way and has endless patience. It’s all very well being a great rider , but to have confidence giving teaching skills as well is a rare combination in my experience, we have had some very unhappy experiences with other ‘experts’ their riding ability was not in question, but they weren’t too good at transferring it. Much money and heartache later Andrea was recommended to us, he has transformed my daughters riding that was pretty good anyway, her confidence in her own ability increased, and she keeps being complimented on how stylish she is!! Hello Andrea, We purchased our horse, through you late last year, Stuart Tinney tried the horse on my behalf. I wanted to let you know that I am so happy with my new horse, he is working beautifully and I couldn't be happier! Thank you. I have trained with Andrea for several years now and my riding has improved no end and he has become a regular part of my on going training. Andrea is equally talented training me on young horses as well as the more established, and his years of experience really shines when you are having a lesson. He explains things clearly and is always positive and confidence giving. As well as being an effective trainer Andrea passes on his classic style of riding which has helped me produce my young horses correctly and to the best standard. I would recommend Andrea to anyone of any level as he is versatile and talented at training both on the flat and over fences which I find is a very rare occurrence when trying to find the correct trainer. I currently train with Andrea and found his insight and knowledge to be incredibly helpful. His understanding of producing jumpers, eventers and young horses is fantastic and I am able to use his expertise on a variety of different horses. 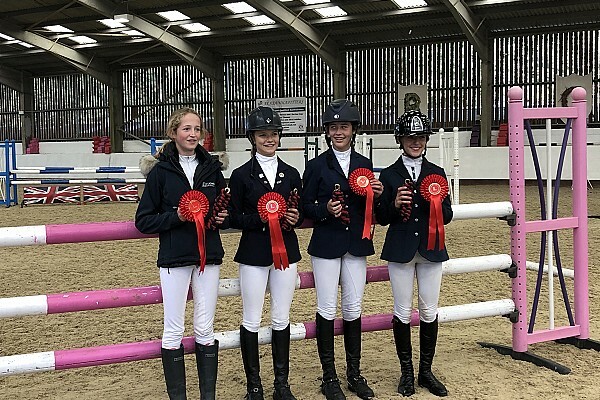 "It was clear from the start that Andrea understood exactly what we were looking for when we came to him to buy a horse – a real “school master” for my daughter, an experienced event horse which would be manageable to ride. From then on he introduced us to a number of horses, each could have been “the one” - each totally suitable. We went out and tried them all, in the ring, on the cross country etc. When I asked him how we were going to choose he said “ when you fall in love with one, buy that one!” When we saw Freddie, we knew we had to buy him. 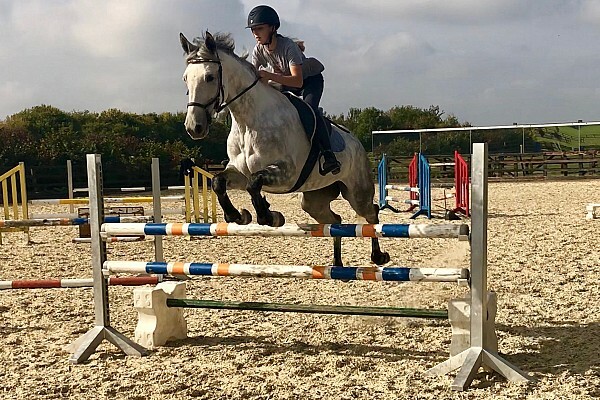 With a kind temperament and a love for jumping and cross country, Freddie is teaching my daughter quickly, safely and providing lots of fun. They are a team and under Andrea’s tuition, are progressing every time she is in the saddle. Over the years we have built up an extensive network of contacts with riders, dealers and producers across the world. We will arrange visits to both selected establishments and private yards, to view and experience handpicked sporthorses suitable for your needs. Please complete your information below to register your interest and we will be in touch to discuss your requirements in more detail. Our mailing list is designed to keep you up to date with new horses, events and other opportunities that you may find of interest. This will also include information on Horses that are being "softly marketed" as well as other information that we may not publish on our website. Please complete your details below and we will update you as details and information becomes available. "I want to thank you so much for finding Zac for us. Your expertise and professional outlook, has been very beneficial. Having had Zac for less than two weeks Seraphina and Zac have formed a good partnership, going double clear at their first event, and are very much looking forward to the forthcoming season. I would highly recommend your service to anyone looking for a horse. Many thanks"